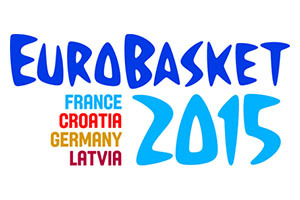 Before the excitement and drama of the 2015 EuroBasket final, there is the third and fourth game. This is a game that no team really wants to play in, and it is understandable why things can seem a bit flat for this game. However, we have the host team involved and we have a team who enjoyed a tremendous tournament so with a bit of luck, we may find that the third and fourth game at the 2015 EuroBasket event will be a bit livelier than what you may usually expect. With Lithuania marching into the final, Serbia head into the third and fourth game on the back of just one defeat in the tournament so far. Their 7-1 record may be more impressive than the Spanish side’s 6-2 record, and Serbia finished above Spain in the group stages, but that all counts for nothing now. You may find that the Serbians are a bit wounded coming into this game but this could mean that they have something to show against the French side. The French team will also have something to prove. Fans in Lille and beyond would have snapped up tickets for Sunday in the hope that they would be cheering on the home team to victory but now they will have to settle for seeing their heroes battle it out for a bronze medal. Thursday’s loss was a cruel one for France, losing out in overtime to a Pau Gasol inspired Spanish side. Again, the French team had a perfect record up until that point but when you get to the knock-out stages, one defeat is all it takes to bring your tournament come crashing down around you. Nicolas Batum and Nando De Colo both played strongly for France in their semi-final defeat, both players picking up 14 points although Batum will be keen to get back on the court and atone for some late misses that turned out to be costly for the French side. With close to 500 regular season games in the NBA and over 30 play-off games, Batum has faced some big challenges in his career and he will definitely come good again. Miloš Teodosić is the main man for Serbia and with close to 200 Euroleague games under his belt, he is a player that knows what European basketball is all about. Teodosić offered up 16 points and 3 assists in the semi-final loss on Friday night, and he will be keen to make the most of this game. France are the favourites for this game and you can find them at odds of 1.44 to take the bronze medal while Serbia are listed at 2.85. With respect to the spread, you will find France with a -5 handicap, at odds of 1.90. Serbia have had a great tournament but you get the impression that the French will want to go out on a high and give the home crowd something to cheer about. With this in mind, it makes sense to back the French in Lille. For the Over/Under market, go UNDER 152.5 at odds of 1.90. Bet Now! We also had the 7th placed match on offer on Friday and the Czech Republic made a bit of history in that one. In this high scoring match, the Czech Republic ran amok, outscoring Latvia comprehensively in the first three quarters. Latvia were on top in the final quarter but that was all too little too late in that game. Jan Veselý enjoyed a tremendous EuroBasket tournament and he grabbed 24 points and 6 rebounds in this game. Latvia bowed out with Jānis Timma picking up 11 points. The win not only sees the Czech Republic grab 7th place in the tournament, they will be in the OQT for the 2016 Rio Olympics. They will be joined by France, Greece, Italy and Serbia from Europe and they will also be lining up against New Zealand, Puerto Rico, Mexico, Canada, Senegal, Tunisia and Angola. Throw in three more qualifiers from FIBA Asia and potentially three OQT host nations and we have a great deal of excitement to look forward to next year before the Olympics get underway. As well as contesting the 2015 EuroBasket final on Sunday, Lithuania and Spain will know that they will definitely be heading to Rio next summer. They will join Brazil who are the hosts, the current world champions the USA and the already qualified Australia, Nigeria, Argentina and Venezuela. The 2015 EuroBasket may be coming to a close on Sunday but the next major basketball events will not be far away, and course, the club tournaments, including the Euroleague, will be back with us shortly.